One of the most amazing places I've eaten this year was in Baja California, in the Valle De Guadalupe, in an intimate garden restaurant called Corazón de Tierra, a restaurant that frequent Baja Bound foodie, Chuy Tovar, recommended. We had just done wine tasting at Vena Cava, the winery on the premises of the restaurant and the hotel Villa del Valle. 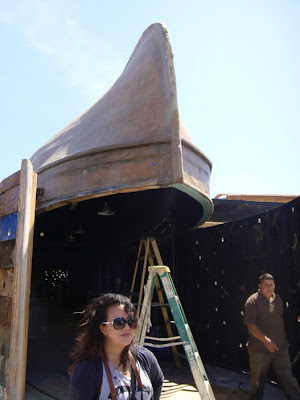 The winery was an interesting space, with three different reclaimed fishing boats used as roofs. The architecture of Vena Cava was interesting to say the least. It's built underneath a hilltop, creating its own man-made cave. Eileen & Phil Gregory, ex-Hollywood producer and artist/musician from Los Angeles/Europe are the owners of the adjacent Villa del Valle hotel, Vena Cava winery, and the restaurant Corazón de Tierra (with chef Diego Hernández). Underneath a reclaimed fishing boat roof. No one ever told me how distractingly beautiful the drive would be. I've asked around and people told me to take the "scenic" toll road or the Tecate HWY to get to Valle de Guadalupe, Baja California. 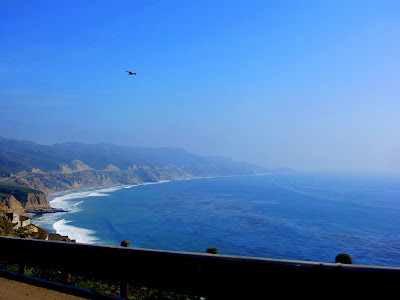 Little did we know that once past the sketchy border rife with hitchhikers, the road would spread out before us and take us up and down these beautiful Big Sur-like cliffs. The weather was perfect - one of those top down, driving along the coast kind of days. Too bad we were in a hard-top Honda Fit. The drive was sort of like driving down Pacific Coast Highway, but BETTER. The roads cut across mountains like a knife through a piece of amazing Mexican cheese. After some girl talk and catching up, we were on the 3 HWY and started seeing these tiny pods along the cliff. We knew we arrived at the Endemico Eco Lodge!